If you digitally purchased Far Cry 4 for Xbox One, you might have trouble playing the game right now. As first reported by Videogamer.com, some players are having difficulty launching the game, due to a bizarre issue where the game currently isn't listed on the Xbox Marketplace. 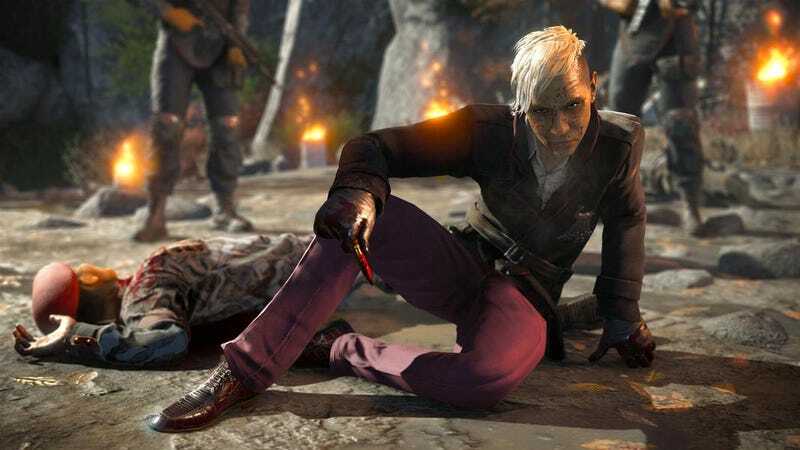 Others players are still able to launch Far Cry 4. It's unclear what's causing the inconsistency. Welcome to 2015 and the unintended consequences of DRM, in which well-intended policies meant to discourage piracy end up hurting paying customers who haven't done anything wrong. Though Far Cry 4 still comes up when searching the Xbox Marketplace, it's impossible to access. Microsoft's service status for the Xbox Live service doesn't list this as an issue right now. Kotaku has contacted Microsoft for comment, but we've yet to hear back from the company. Another user told me he purchased the game on day one, unlocked every achievement, and can't get back into the game. When Far Cry 4 tries to load on his Xbox One, it produces an error. It appears Far Cry 4 has experienced this problem in the past, too. A reddit thread from a month ago reported the exact same issue with the exact same game. When loaded, Far Cry 4 produced a "content not available" message, despite players legitimately purchasing the game. "I can access all other the other games I attempted to via the Store interface," wrote reddit user willtomorrow at the time. "I hard reset my Xbox/Router and have still been unable to play the title. It's been about 12 hours now that I've been unable to play the game, despite having had no issues for the last week or so." Unable to play a game you own for 12 hours? Ouch. It's unclear why Far Cry 4 keeps finding itself in this position, but it's a bummer. Hopefully, the issues is resolved pretty soon. I'll be keeping an eye, and let me know if you're having trouble.